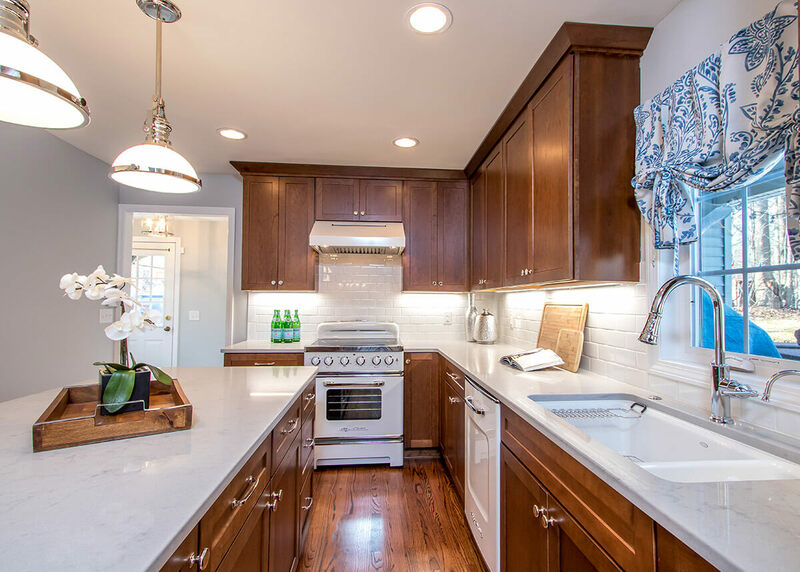 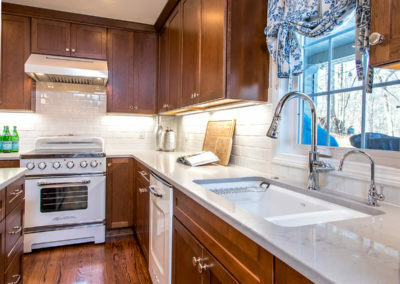 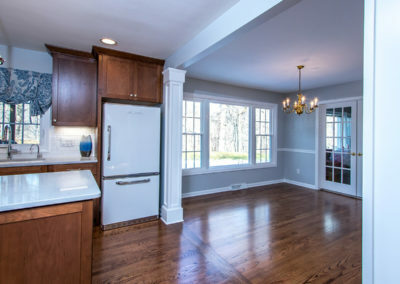 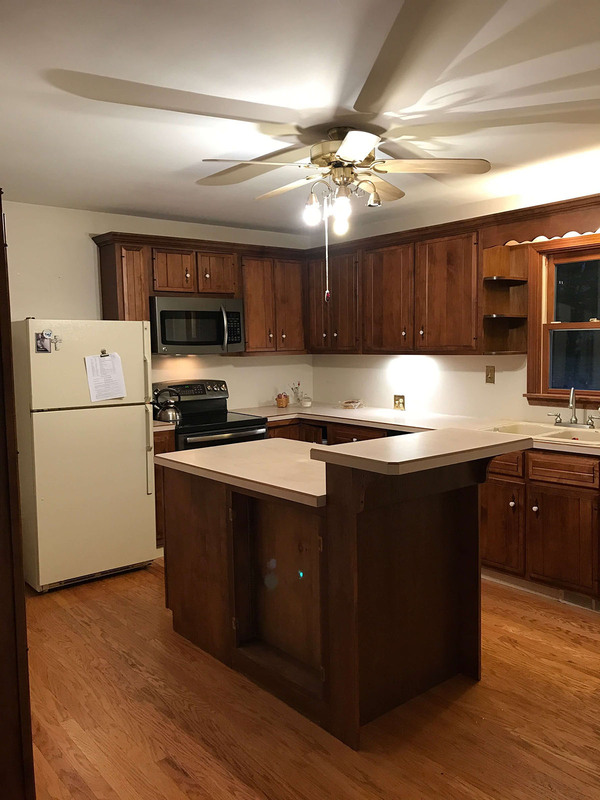 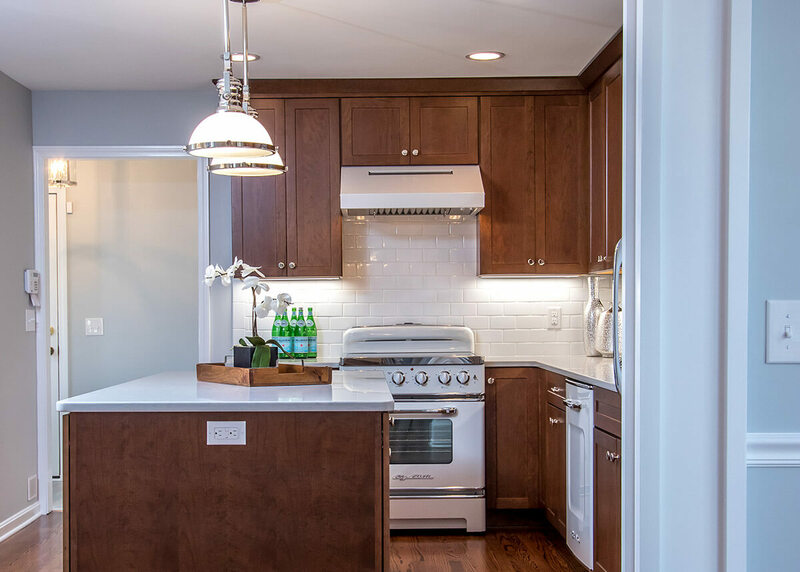 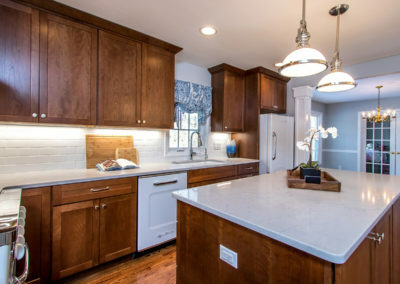 This kitchen renovation has been a dream of this clients for a long time. 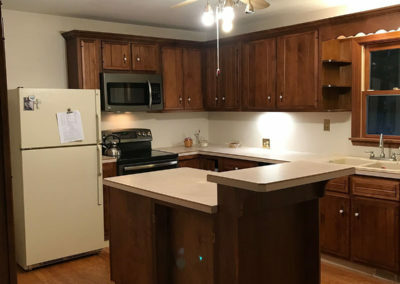 The kitchen before did not function for the client’s love of cooking and baking. We closed off a door to the backyard that was not used, opened the wall up to the dining room, relocated the door to the powder room, and created a functional pantry in the mudroom, The star of this kitchen is the retro Big Chill Appliances in white requested by the client. 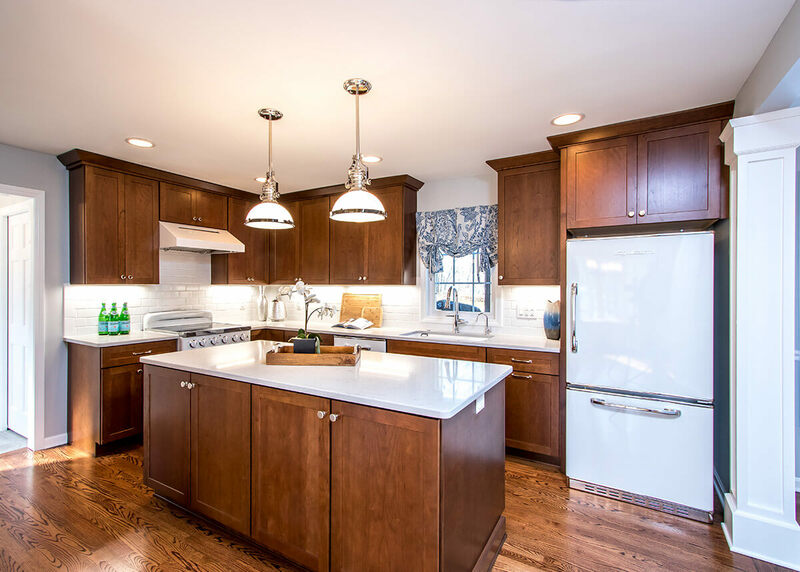 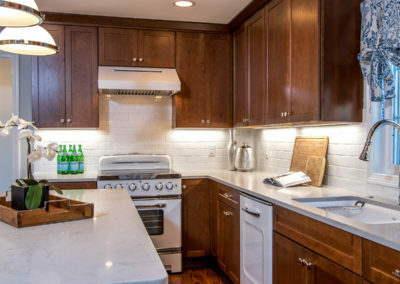 They are highlighted by the dark stained cabinetry, Ceasarstone quartz countertops and white subway tile backsplash.